Republican lawmakers have set the gears in motion to vote on the second round of tax reform before the midterm elections in November. The Tax reform plan 2.0 seeks to make individual tax cuts permanent. The sweeping tax overhaul, signed into law in December, was the first major legislative victory of the Trump administration. Republicans are now looking for improvements and fine-tuning to the new tax code. 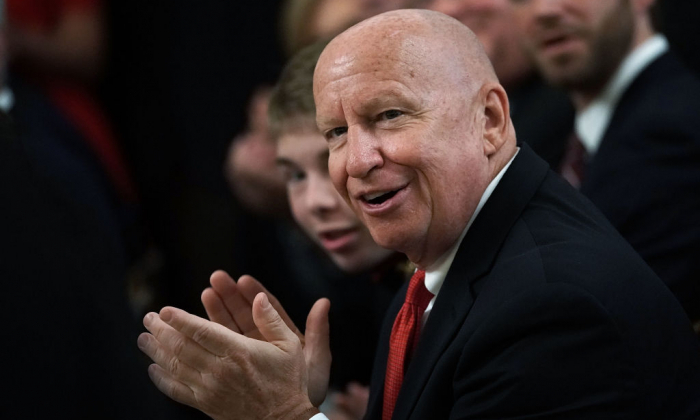 According to Rep. Kevin Brady (R-Texas), chairman of the House Ways and Means Committee, permanency of the individual tax provisions is the number one priority. Republicans may also seek to reduce the corporate tax rates further and make changes to retirement saving as part of the new blueprint. Brady told reporters at the White House on July 17 that he expects the House to start voting on a set of bills in September. He made the remarks alongside a group of Republican lawmakers at the White House before a closed-door meeting with President Donald Trump, who supports the second phase of tax cuts. Republicans view extending the individual tax cuts as a tool to create certainty and boost economic growth. The Tax Cuts and Jobs Act, which became effective on Jan. 1, reduced the individual tax rates, doubled the standard deduction, and expanded the child tax credit for individual taxpayers. Many individual tax provisions, however, are going to expire by the end of 2025, and the old rules will take effect unless the provisions are extended, according to the new code. Lawmakers added the expiration date to the bill to comply with Senate rules, which allowed Republicans to pass the measure last year with a simple majority. To make the individual tax cuts permanent, Republicans would need 60 votes in the Senate. The GOP holds a slim majority in the Senate and would need at least nine Democrats to vote for the bill. Putting Democrats on the spot before the midterm elections in November appears to be part of the rationale for the timing of the legislative action. No Democrat voted for the tax-cut bill last year. Many cited the temporary nature of the individual tax cuts as the reason for voting no. The first round of tax cuts slashed the corporate rate by 40 percent from 35 to 21 percent. The measure prompted 660 companies, including Apple, Jet Blue, and Bank of America, to issue cash bonuses, pay raises, and other benefits to their employees, according to a list (pdf) maintained by Americans for Tax Reform (ATR). Brady said that further lowering the corporate rate “ought to be part of” the second round of cuts because the United States needs to stay competitive on the world stage. When combined with the average of state and local corporate tax rates, the new U.S. statutory corporate tax rate is nearly 26.5 percent, which is below the current weighted average of the OECD of 31.12 percent, according to the Tax Foundation. Trump said tax cuts made the United States the “best place on Earth” to start a business and invest, during the celebration of the six-month anniversary of the tax overhaul last month. “I do think the President’s right from the standpoint that now that America has leapfrogged into that top three or four best tax codes on the planet, our competitors are going to respond,” Brady said. Republicans are also focusing on making changes to the areas of pensions and savings in the second round of tax cuts. One in five Americans have no retirement savings, according to a report (pdf) by Northwestern Mutual. Brady’s office did not provide details on the measure, but Rep. Kenny Marchant told the Wall Street Journal that a universal savings account could be part of the legislation. Deposits into the account would be taxed, but not the income. At least nine companies, including FedEx, Pfizer, Metlife, and UPS increased their pension fund contributions directly in response to the first round of tax cuts, according to ATR. Brady said that pensions will be a focus as part of Tax Cuts 2.0.